The Ghanaian government and the World Bank have awarded several youth groups. They are expected to offer digital solutions to optimise waste management in the cities of this West African country. As in many African cities, garbage piles strew the streets of Ghana’s big cities like Accra or Kumasi. On site, the actors of waste management are trying to find solutions to the problem. A few days ago, Zoomlion Ghana Limited announced that it would put people at the centre of its waste management strategy. It has therefore launched the project “The Bin Solution” which consists of proposing garbage to homes. With the support of a hundred young people, the enterprise wants to distribute one million across the country. The Government of Ghana believes that digital technology can also help meet the challenge of waste management. With the support of the World Bank, it launched a competition for the best mobile waste management applications. In Ghana, as everywhere else in Africa, web and mobile development has become a passion for young people who have even recently benefited from training in the domain. It is therefore in full awareness that the government and the World Bank launched the Sanitation Hackathon. In all, 30 young people participated in this contest which took place in November 2018. Finally, only three projects were selected. These are “Nsuo”, “Beamers” and “Sani-GH” respectively. The first project received $ 5,000, 3,000 for the second and 2,000 for the third winner. 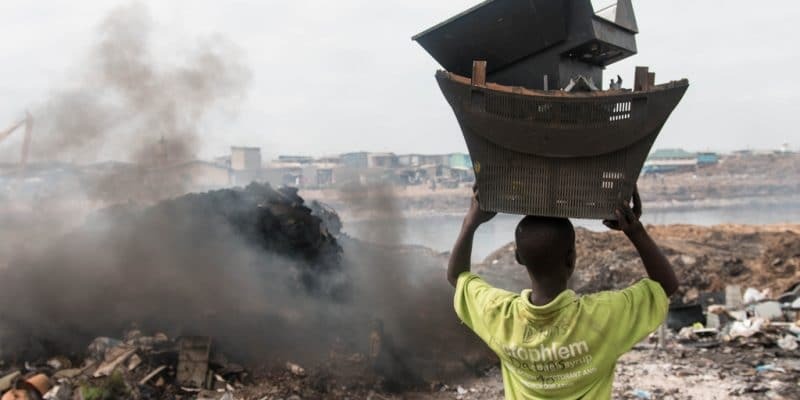 The government is urging young project leaders to work harder to make their applications even more efficient, to make them truly useful for waste management in Ghana’s major cities. The “Bin Solution” project may be innovative, but far from a first in Africa. In Egypt, authorities are experimenting with the mobile application “Dawar”, launched in October 2018. Once installed on a smartphone, the application allows the user to take a picture of a street corner covered by a garbage pile. Once the photo is uploaded to the app, “Dawar” will be able to track the location using GPS and a specialised team will go to perform the cleaning. “Dawar” will be part of a comprehensive municipal waste management strategy that the Egyptian government plans to launch from 2020.